Australia's greatest racing track, Mount Panorama, may be expanded to include smaller grand prix and national circuit layouts, if the plans of a group of Bathurst enthusiasts continue to move forward. A public meeting will be held on Tuesday evening to discuss a specific proposal intended to boost the versatility of Mount Panorama. And to improve access to the facility, paving the way for a variety of uses, and more than a couple of major race meetings a year. The proposed 4.6km GP track would use the existing bottom part of the present circuit including pit straight and the pit complex, before swinging left off mountain straight in a layout much like the Panorama Esses in reverse. It then would continue across to the outside of the existing circuit above old drive-in theatre, rejoining the main circuit just above the bridge on Con Rod Straight. 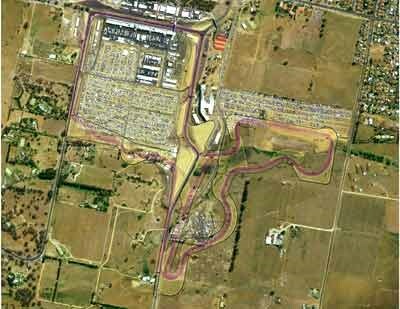 The 2.5km national circuit would be self contained, using the new part of the GP circuit in the outfield, and pits located at the drive-in site. The national circuit would not require road closures, and would not inconvenience residents. This short layout could be used for driver training and corporate days without impinging on the daily routine of residents living along the famous 6.2km strip of bitumen. A creation of former motor cycle racer, Allan Cunynghame, the proposal is said to have support in many quarters although the local council is at best ambivalent.